← Have you Booked your Massage this year !! Autumn must be on its way as I have just done my first Hot Stone Massage of the season and my client booked another treatment too . 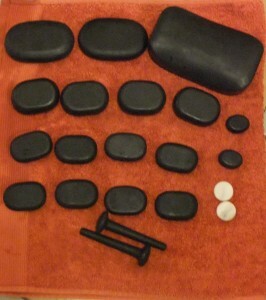 This is a fabulous enjoyable,warming and relaxing therapeutic massage but not very portable so best done at my house. If you have never tried a Hot Stone Massage why not try one in the coming colder months, you won’t be disappointed !